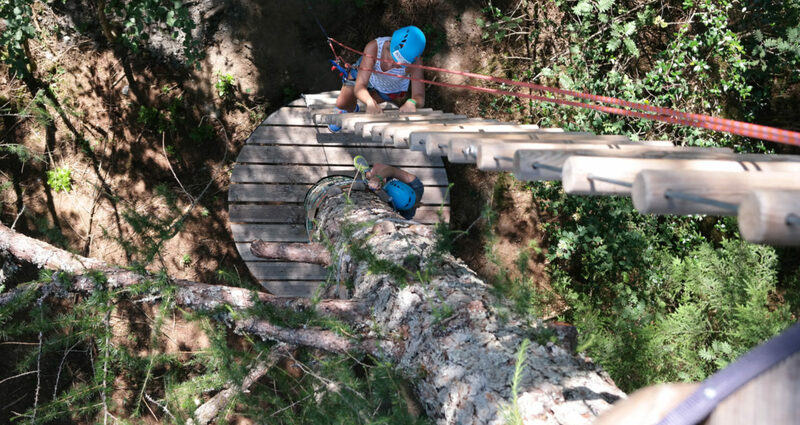 A climbing park consists primarily of different types of courses in the trees that vary in length and difficulty. 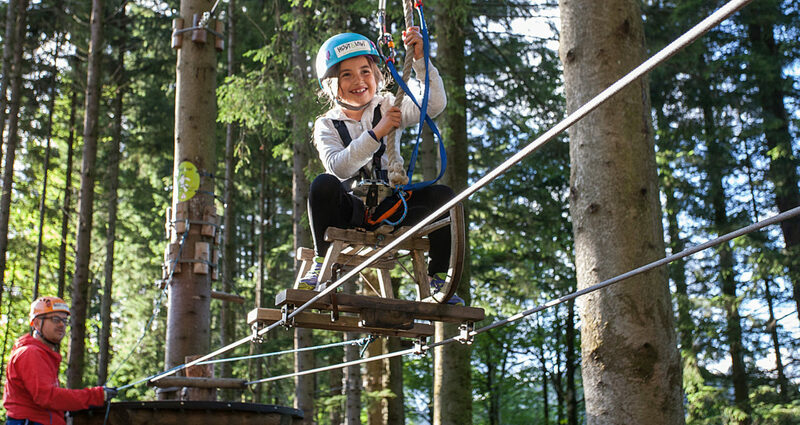 The courses are made of wires and ropes, which are built into the natural terrain and let you experience an exciting world from the tree tops. 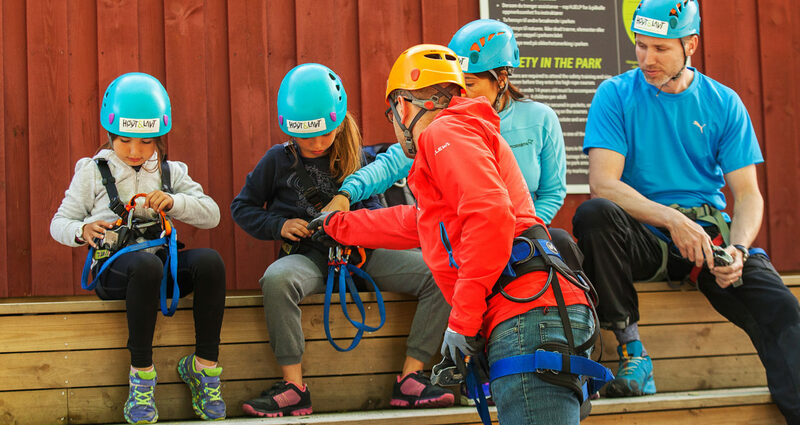 At Hoyt & Lavt climbing parks, we provide challenging activities and raw experiences in a safe environment, for all ages and skill levels. 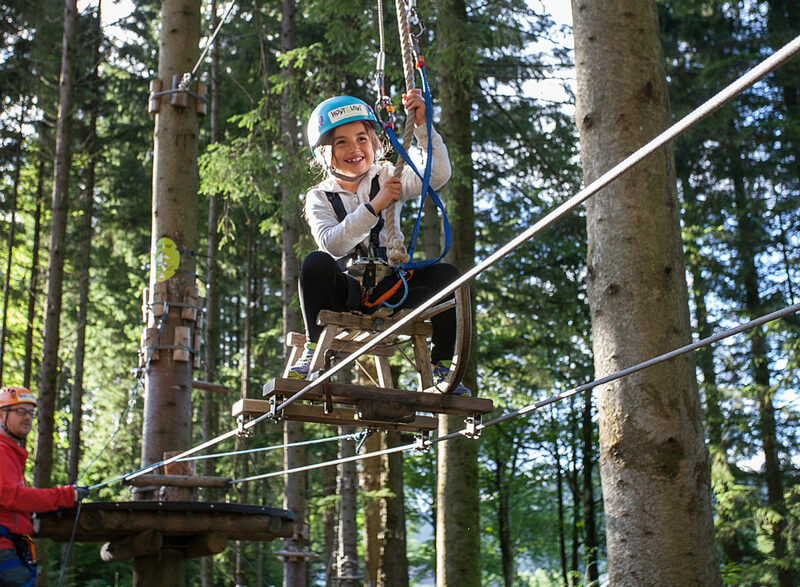 We have prepared offers for individuals, families and groups. 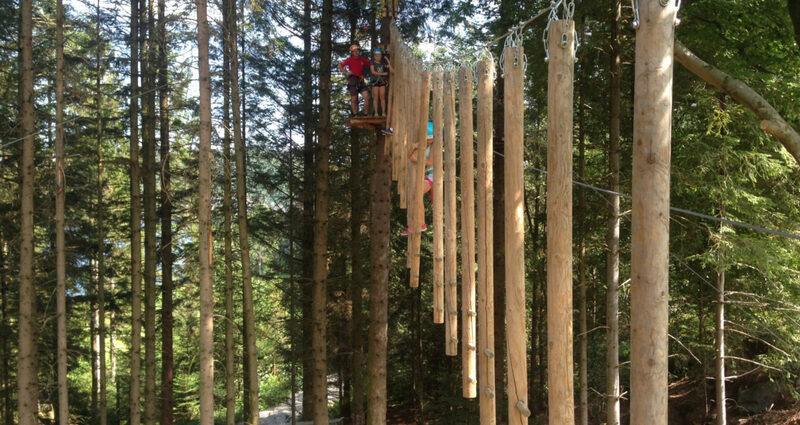 Hoyt & Lavt in Nedstrand has five courses with a total of 78 elements, and has Norway's only 304-meter Zip-line with a fjord view. In this beautiful setting, you will also find grill and picnic areas. In our cozy kiosk/cafe, we offer food and drinks. The atmosphere is peaceful here, and you can enjoy the mountains and the fjord. When you walk through the park, you will find that the park is adapted to the terrain - and not the other way around. The trees used are selected with care, and are inspected each year. The trees normally are not damaged by the installations, and the installations can also be removed without damaging the trees. Guest safety will always be paramount to us. We have a monitoring regime for the installations and safety equipment - checks and inspections on a daily, weekly, and monthly basis. All our guests must complete a safety course and demonstrate that they have understood the principles of self-securing. An instructor is out in the park at all times, monitoring and providing assistance when necessary. Green/Dark Green: over 110 cm. WAIVER - Remember to fill out the waiver form before you arrive at the park. It only needs to be filled out once per season, and it is valid for all H&L parks. Fill out the form here. PRACTICAL INFO - Useful information that is good to know before your visit with us is found here. If for one reason or another you are unable to climb in our park, you can take a great hike along beautiful forest trails here at Nedstrand. Forest hikes are permitted for everyone. Of course, this is free of charge, and we encourage everybody to take a hike in the forest and countryside. 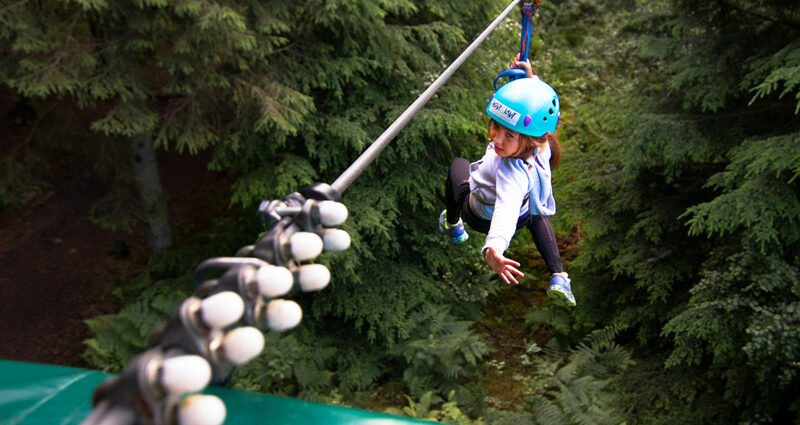 Our forest is open every day, year-round. We have a map and information about this in our cafe. Come by for more information.